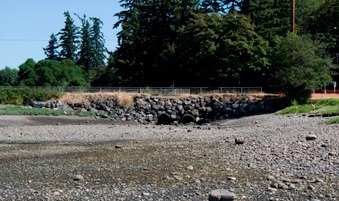 Excavation started today on a $1.3-million project to reshape and restore Harper Estuary in South Kitsap. 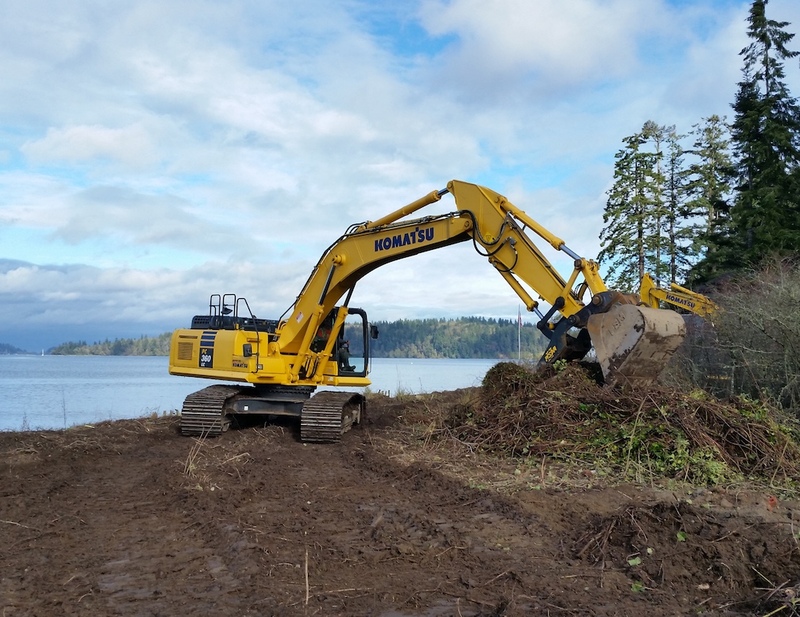 Heavy equipment begins work today to build access roads for the Harper Estuary restoration project. Orion Marine Contractors was the successful bidder among six companies that offered bids on the project to remove much of the fill material placed in and around the estuary. The amount of soil to be removed is estimated at more than 15,000 cubic yards, or enough to fill roughly 1,000 dump trucks. 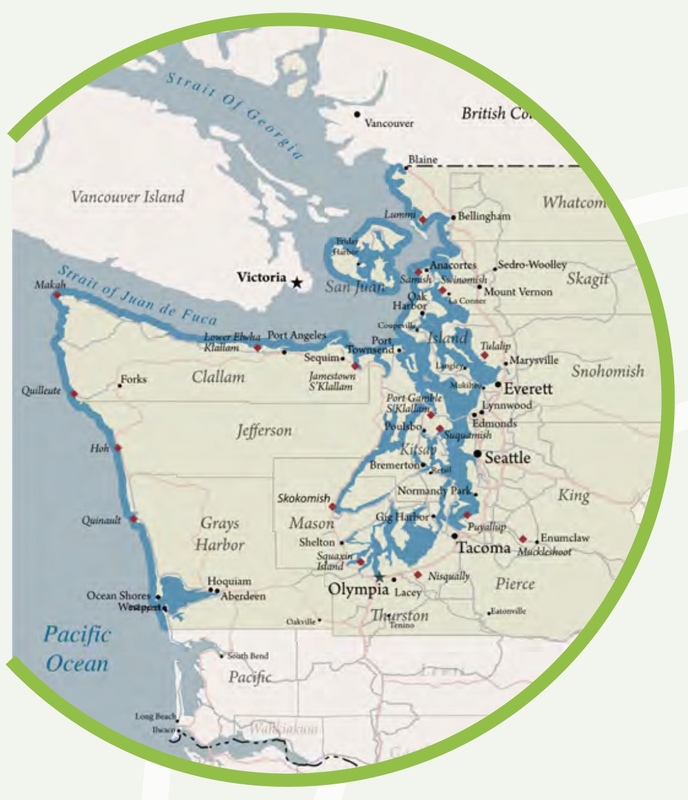 “The work will restore (the estuary) to levels conducive to marsh establishment,” said Doris Small of the Washington Department of Fish and Wildlife. The project will recover a spit, reconnect saltwater to an impounded wetland and remove a bulkhead and old “relic” road that impounds the wetland, she said. 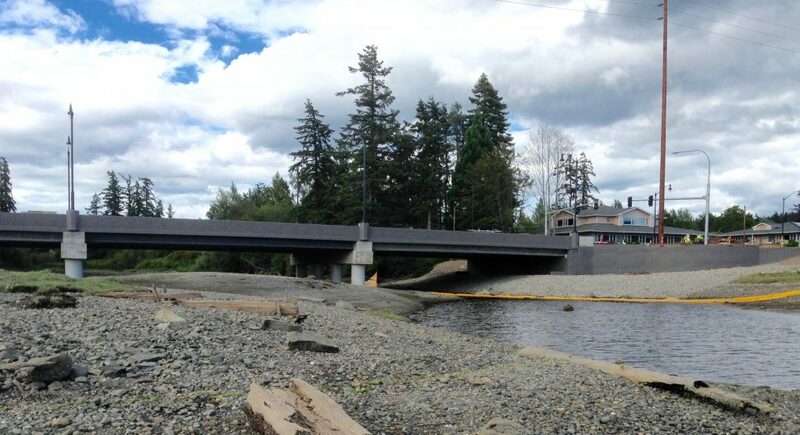 Tidal waters in Silverdale flow smoothly in and out of Clear Creek estuary, passing under a new 240-foot-long bridge — a massive structure that has replaced a pair of six-foot culverts. I visited the site this afternoon, walking over to the bridge from Old Mill Park, and I found the changes startling. Flows of freshwater from Clear Creek joins saltwater that trickles through tidal channels from Dyes Inlet. Tidal shifts are reshaping the estuary, flushing out trapped sediment and leaving deposits of gravel of varying size. 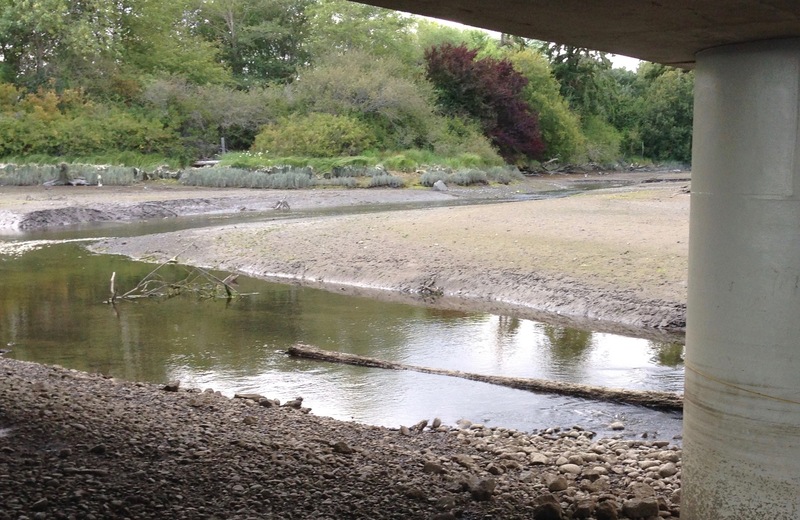 When the fall rains come, salmon will be able to linger in the estuary upstream or downstream of the bridge before moving up into the watershed. Traffic across the estuary was shut off for construction a little more than a year ago. Now county officials are planning to celebrate the opening of the new bridge on Friday of next week (July 22). The ceremony, led by Kitsap County Commissioner Ed Wolfe, will begin at 10 a.m. on the east end of the bridge. A Marine Corps honor guard will present the colors, and the Central Kitsap High School marching band will perform. Parking will be available at the former Albertson’s/Haggen grocery store parking lot near the intersection of Bucklin Hill and Mickelberry roads. The $19.4 million construction project is said to be the largest project of its kind ever undertaken by the county. The bridge allows the roadway to be widened from two to four lanes with a new left-turn lane at Levin Road and a center two-way turn lane elsewhere in the area. The project adds new bike lanes, sidewalks and pedestrian overlooks. Kitsap County Public Works has posted a large number of photos showing the progress of construction on its Bucklin Hill Bridge project page. After the bridge opens, the contractor, Granite Construction, will continue to finish various aspects of the project. Occasional traffic delays can be expected, according to county officials. 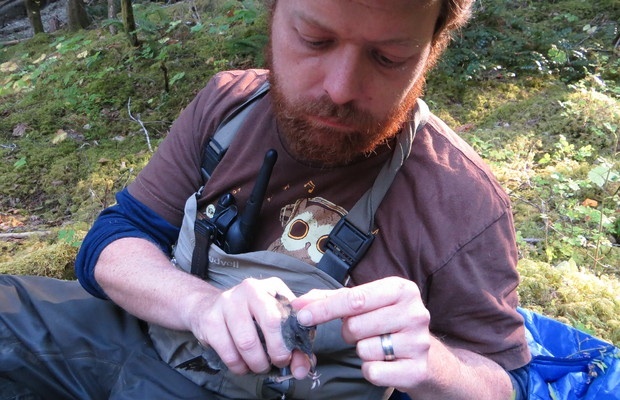 Chris Butler-Minor, a master’s degree candidate at Portland State University, is studying the ecological changes resulting from the project with the help of volunteers. They are collecting water samples and monitoring sediments, vegetation and invertebrates. 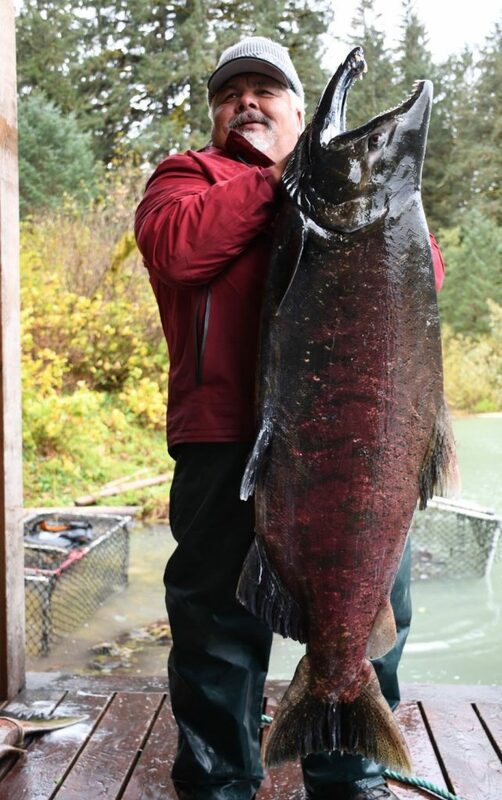 “It’s a yearlong inconvenience but the outcome will be improved transportation, improved bike and pedestrian access, and the salmon are going to love it,” Chris was quoted as saying in a story by Kitsap Sun reporter Ed Friedrich. I’m certainly no highway engineer, but I’ve been thinking about the difference between building roads in Kansas, where I was born, and building roads in the Puget Sound region. Kansas has its streams and wetlands to be sure, but nothing like the density of natural features that we find in the Puget Sound watershed, where land elevations change constantly and roadways must cross streams and wetlands at every turn. For many years, road construction in the Puget Sound region involved filling wetlands and burying pipes just big enough to pass the water. It was assumed that salmon would make it through. But based on our current knowledge of salmon migration, we realize that these shortcuts took a major toll on the populations of salmon and other fish. 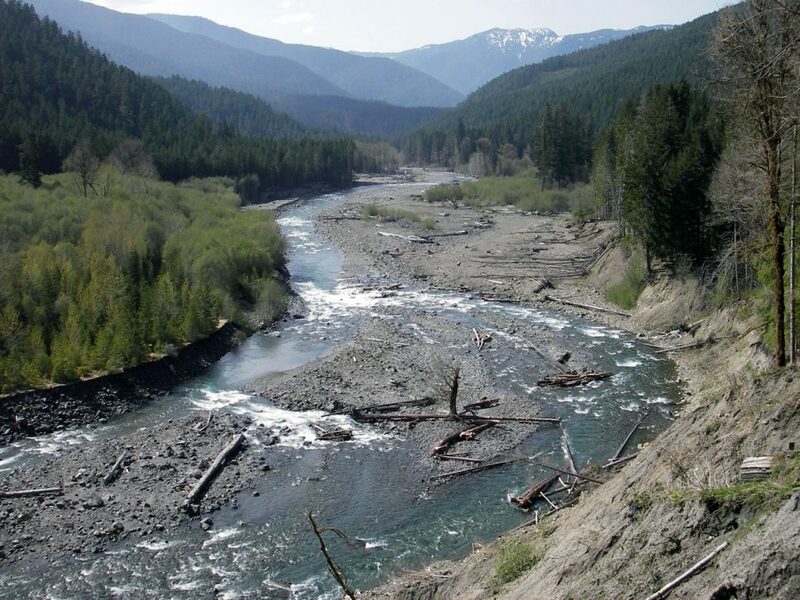 This week, the U.S. Ninth Circuit Court of Appeals upheld a lower court ruling requiring state agencies to correct decades of road-building mistakes that impaired salmon passage on state highways and on state forest roads. Check out Monday’s story in the Kitsap Sun. 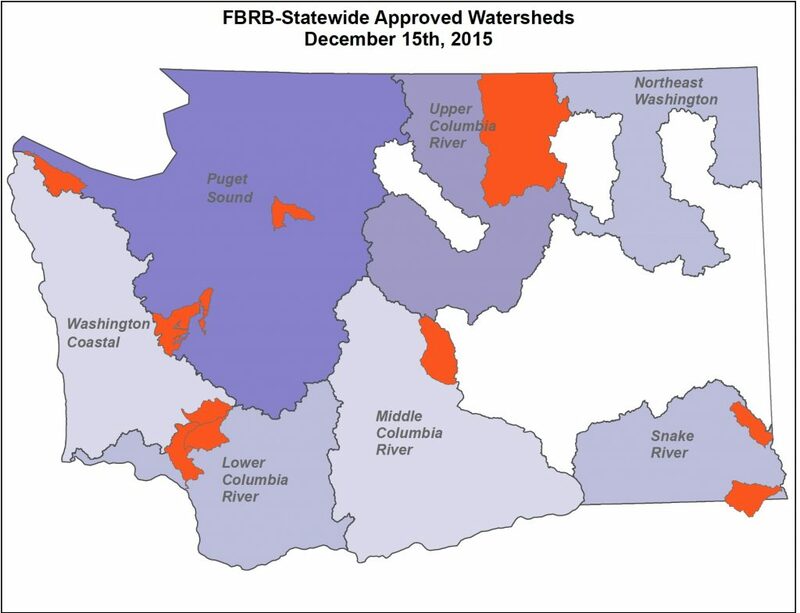 Priority watersheds chosen by the Fish Barrier Removal Board. Puget Sound: Pilchuck Creek, Pysht River, Goldsborough Creek; Coast: Newaukum; Lower Columbia: Lower Cowlitz; Yakima River: Wilson/Cherry; Snake River: Grande Ronde Tribs, Snake River Tribs; Upper Columbia: Okanogan. The lawsuit, filed by 21 Indian tribes, was based on the idea that undersized and poorly functioning culverts severely affected the total salmon runs in violation of treaties signed in the 1850s, which promised Native Americans the right to fish forever in traditional locations. The lawsuit did not address culverts owned by the federal government, local governments or private property owners, but the same principles apply. 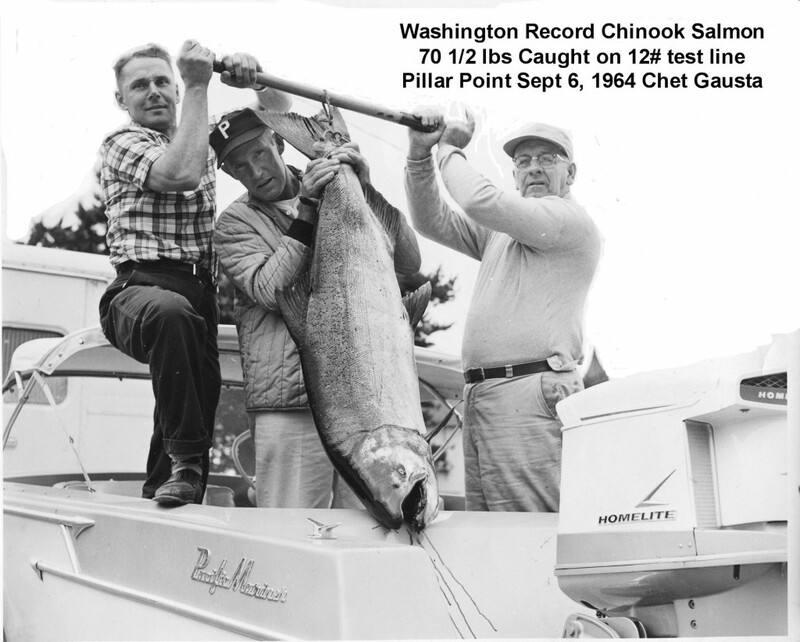 Steps are now being taken to improve salmon passage based on standards developed by the Washington Department of Fish and Wildlife. Meanwhile, a state advisory committee, known as the Fish Barrier Removal Board, has been working to establish priorities with top-ranked projects providing the greatest improvement in salmon habitat. Kitsap County Engineer Jon Brand, who serves on the board, described a two-pronged approach to set the priorities. One is to focus on priority watersheds, with the idea of making major improvements in a variety of streams in a given area. (See map above and board materials (PDF 50.4 mb), Oct. 20, 2015.) The second approach is to coordinate planning for top-priority streams, with the idea of working on entire stream systems at once. Obviously, it does not make sense to replace a culvert upstream if a downstream culvert continues to block salmon passage. Check out the list of top-30 ranked projects (PDF 57 kb). The Fish Barrier Removal Board is putting together a funding package to be submitted to the Legislature. As Jon pointed out, some of the most effective projects for salmon passage are not in the Puget Sound region nor subject to the federal court ruling. The list also goes beyond state roadways and includes a mix of ownerships based on the watershed and stream priorities mentioned above. State lawmakers face some difficult funding decisions. With the court order hanging over their heads, along with a 2030 deadline, they may choose to do only culvert-removal projects in the Puget Sound region, even though projects in other areas could get a greater bang for the buck. And will there be money left over to support local governments trying to improve salmon passage in their areas? I asked Jon about the expediency of early road-builders who must have given little consideration to salmon when they filled wetlands, carved out drainage ditches and installed pipes to carry the flow of water. It was not always that way, Jon told me. That method of road-building arrived with the invention of large earth-moving equipment, he said. In the 1800s and early 1900s, filling a stream and inserting a culvert was more difficult than building a bridge of logs, given the vast quantities of timber on the Kitsap Peninsula. Those early log bridges no doubt caused fewer problems for salmon, but they did not last. Eventually, nearly every bridge was replaced, often by dumping fill across the stream and allowing a small culvert to carry the water. “In Kansas, fish passage issues caused by culverts were not recognized by road officials until about 2010, when … research indicated that culverts and low-water crossings were a significant cause of habitat fragmentation in the Kansas Flint Hills. If only that were the case in Western Washington. 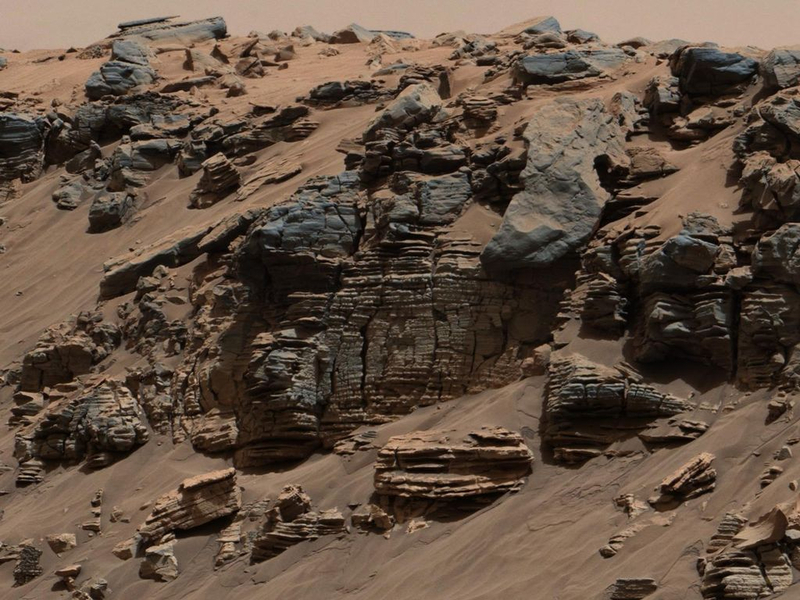 Layers in rock shown in this photograph taken by the Curiosity rover lead scientists to believe the Martian formation resulted from a series of sedimentary deposits laid down over millions of years. Photos taken recently on Mars are exciting, to say the least, as the Curiosity rover sends back pictures of layered canyon walls like you might see near a river or lake on planet Earth. A leading interpretation is that a 3-mile-high mountain known as Mount Sharp was formed by sediments deposited in a massive lake over millions of years. The rock layers likely were the result of repeated filling and evaporation of the lake in Gale Crater, nearly 100 miles across. As some sediments hardened into rock, winds carved away material between the edge of the crater and what is now the edge of the mountain, project scientists speculate. How layers were formed from successive deposits of sediment. Curiosity is exploring the lower portion of Mount Sharp, a 500-foot section of rock known as the Murray Formation. As Curiosity moves up the slope, it may seem as if the rover is traveling through time, observing changes in sediment composition and chemistry. Marc Kaufmann, author of the book “Mars Up Close,” pointed out that NASA scientists studying the Red Planet have now identified the key elements for life: standing water that persists; a continuing source of energy; the elements carbon, oxygen, hydrogen, phosphorus and nitrogen; and lots of time. See article in the New York Times. Curiosity, which landed on Mars Aug. 6, 2012, has been collecting data about climate and geology to better understand the natural history of the planet and help prepare for a human space mission to the planet. Below is a video about these new findings by Newsy, a video news network.